Why Solar O & M Services are of Vital Importance for Solar Power Plants? 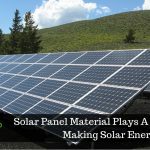 It is a well-known fact now that solar energy for generating power is both economically viable and technically feasible. Not only does it have a positive impact on the environment, it also saves a lot of money giving the freedom from surging electricity bills. It is a wonderful investment that ensures sustainability for asset owners. 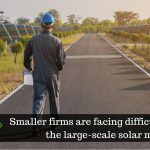 With so much of conspicuous advantages, it is quite obvious that solar installations have been adopted across various sectors, but the question is what about the life of the solar plant after the installation? This is where Solar PV Operations & Maintenance services come into play. Why Go for Solar O & M Services? A basic maintenance is imperative for every system, whether it is your vehicle or any hardware or other system. For solar plants, a basic maintenance on a regular basis ensures functioning at optimum generation capacity. It also makes certain a long life of your plant and efficient power generation. The Role of a Professional O & M Partner? For asset owners, it is desirable to get high returns from their solar plants. A professional solar O & M partner ensures this by not only offering sound technical assistance, but also sensing if something is wrong and raising the flag at the right time. 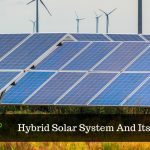 Although basic maintenance like cleaning the panels can be carried out by individual consumers themselves, it is preventive and corrective maintenance that is meaningful for the long life of the solar plants. And this preventive and corrective maintenance requires sound technical understanding associated with the solar systems which can be best offered by professional O & M partners. What Entails Professional O & M Services? Although most of the inverters can show the power generated by your system, an O & M partner is capable of gauzing the performance to determine whether the power generated is optimum or not. Professionals can decipher and make sense of the data with regular monitoring and then providing the reports periodically. A professional O & M partner can prevent problems by regular cleaning of panels and periodic equipment checks. “Prevent and prepare rather than repent and repair”, is what a professional O & M partner believes in. A professional O & M team carries out proper diagnosis to repair or replace those components that are not working properly. This ensures that the system continues to operate at optimum and the power it generates is not hampered in the long run. O & M plays a significant role in the solar power generation process. Procuring professional O & M services must be realized from the very first day of your solar endeavors. This way your investment will offer returns in quadruples! SaveGeo offers a wide range of services based on your plant’s sourcing strategy, infrastructure and degree of expertise in the solar energy spectrum. Their team of experts operate and maintain solar power systems by providing a time-to-time report on solar power generation. Also, possess expertise in project commissioning along with devising mechanisms to retrieve and manage solar power generation data to enhance their Solar Operation and Maintenance Services.